2 It seems that Cosplay has become the main outlet for communication of Chinese transsexuals. It seems that Cosplay has become the main outlet for communication of Chinese transsexuals. Recently a group of students from Wuhan were becoming an hot topic on the web while appearing in photos dressed up as women. These youngsters belong to the “Alice transsexuals group”, a group that became very popular in the university they study in. The group was founded on October 1, 2009 and it has now over 200 members, mainly university students from different schools in Wuhan. 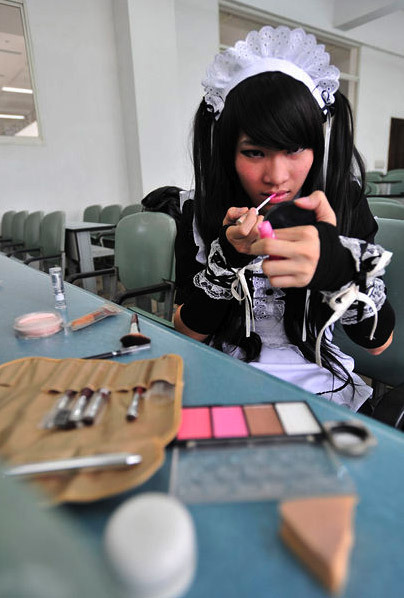 In recent years in China, Cosplay has become an outlet for transvestites and transsexuals or just for people who want to dress up.